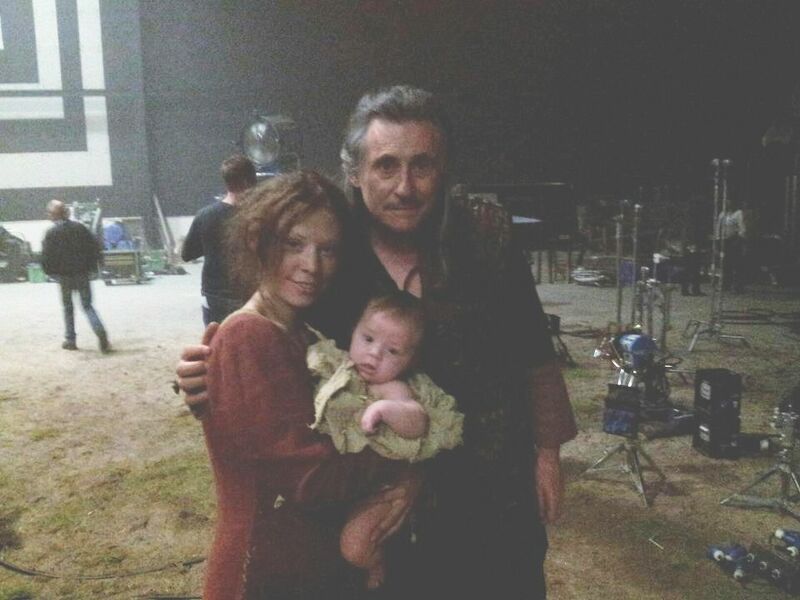 While Gabriel Byrne is thrashing Ragnar on the set of Vikings (we hope! ), activity swirls around him and his on-going projects. The outstanding documentary about him is screening in Dublin. The Costa-Gavras film, Capital, is on the schedule for TIFF. The Irish studio where all that Ragnar-thrashing is happening has received a write-up in the American press. Benjamin Black is taking the character Gabriel will soon portray on a new adventure. And the biggest trailer yet for I, Anna is ready to burn up your screen. Byrne-ing News, indeed! As part of its series Poetic Truths: The Cinema of Pat Collins, the Irish Film Institute is presenting Mr. Collins’ “acclaimed portrait” of our favorite actor, Gabriel Byrne: Stories From Home. The screening is scheduled for Sunday, August 5 in Dublin. 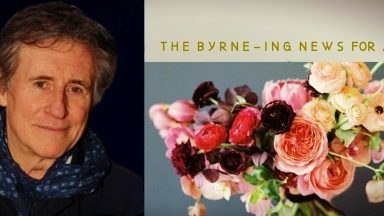 Deftly utilising candid home movie footage, Stories… captures a protagonist who perfectly fits into Collins’ extended gallery of iconoclastic loners following their own path: he may have been directed by a who’s who of world cinema, but here, as himself, Gabriel Byrne gives the performance of a lifetime. It is wonderful to see this film being made available in Mr. Byrne’s hometown. The response to it has always been incredibly enthusiastic. We continue to hope for a general release or a DVD release! Master filmmaker Costa-Gavras (Z, Missing) tackles the world of international high finance in this jet-setting, globetrotting drama about the closed-doors intrigue and high-stakes power plays at a French financial giant. This is the story of the unstoppable ascent of Marc Tourneuil, an expendable servant of the Capital who became its undisputed master. The Official Schedule will be published in September. Stay tuned at the TIFF YouTube Channel for a trailer for the film. No word yet on the possibility of an appearance at the festival by Mr. Byrne. We will cross our fingers, yes? Surely he will be finished with his Viking life by then. It would be lovely to see him in Toronto. Speaking of “the Viking life,” the New York Times had an extensive article on Ireland’s new Ashford Studios in this past Sunday’s edition. At the brand-new Ashford Studios, 30 minutes south of this capital city, the groaning of saws and whining of drills echoed around Ragnar’s house, a rough-hewed Scandinavian-inspired assemblage of timber that will be the centerpiece of “Vikings,” the first scripted series being made for the History channel, as well as the first production for Ashford, in County Wicklow. Large as it is, Ragnar’s home doesn’t even dominate the room: the 30,000-square-foot main stage is a vast space competitive with London’s Pinewood Studios and is just part of this site that includes 300 acres that can provide rolling green fields or a rock quarry. Presuming there is a Season 2, “Vikings” will thus continue to aid the cause of employment in Ireland. “Our primary focus is to support Irish talent in making audio and visual works” whether it’s Irish co-productions or not, said James Hickey, chief executive of the Irish Film Board, at the Galway Film Fleadh. Thanks to Scarlett for the heads up on this. and a little one on her Facebook page and we thank her! 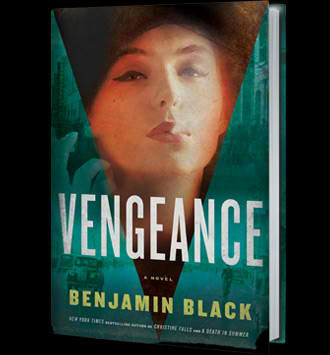 The fifth in the Quirke series, Vengeance, is due out August 7. Benjamin Black’s detective apparently receives a first name in this outing. He also becomes involved in, you guessed it, a murder investigation. Dublin. 1950’s. Dark, dark, dark. And wonderful. Read the previous four books if you have not already. Gabriel Byrne is set to play Quirke for the new television series, with an adaptation by Andrew Davies, in 2013. In his more literary life, Benjamin Black is really John Banville, whose The Sea won the 2005 Man Booker Prize, and whose new novel, Ancient Light, is sitting on a shelf here waiting to be read. Benjamin Black doesn’t write the same sort of fiction as John Banville; he’s the author of a wonderful series of crime novels set in Dublin of the 1950s, where Black notes “it was a hard time, a hard city, and a dark place to live.” His main protagonist is Quirke, a pathologist whose curiosity leads him to examine other people’s lives…While these books may not have the same familiarity among crime-fiction readers as those of some of the authors mentioned by Lawson, they stand out due to their literary quality and to Benjamin Black’s devotion to character. 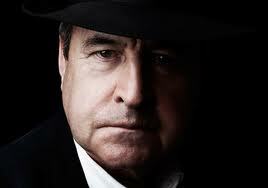 Benjamin Black seems to be channeling John Banville. Thanks to Linda for her help with this. Last but not least: here is the latest I, Anna trailer. Buckle your seat belt before viewing. Seriously. This is thuddingly amazing. Benjamin BlackDublinfilmI AnnaIrelandIrish Film InstituteLe CapitalQuirkeStories From HomeThe Quirke StoriesTIFFVengeancevideoVikings! Thanks for all this new information Stella. Gabriel is surely a busy man, and that is great for us! Thanks for all the information. I hope for a DVD release of Stories from Home. Yeah! Such great news! 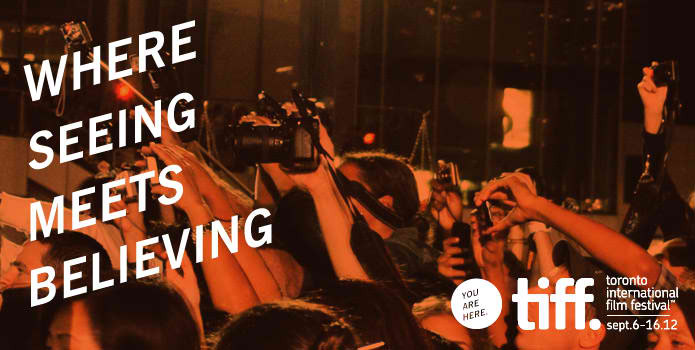 Capital is being presented at TIFF! I am planning to be there with my daughter. Let’s hope GB will be there too. He seems to love coming to Toronto. I’ll keep my fingers crossed! Spirit of Ireland Gala Friday October 5th!